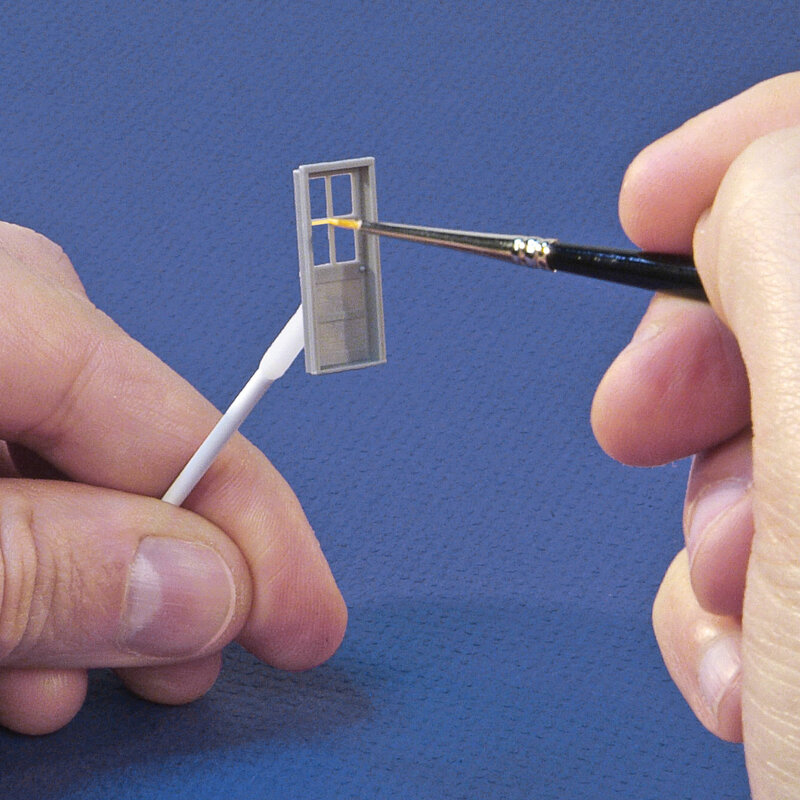 This is the best tool we've seen for holding small model parts while positioning and painting. 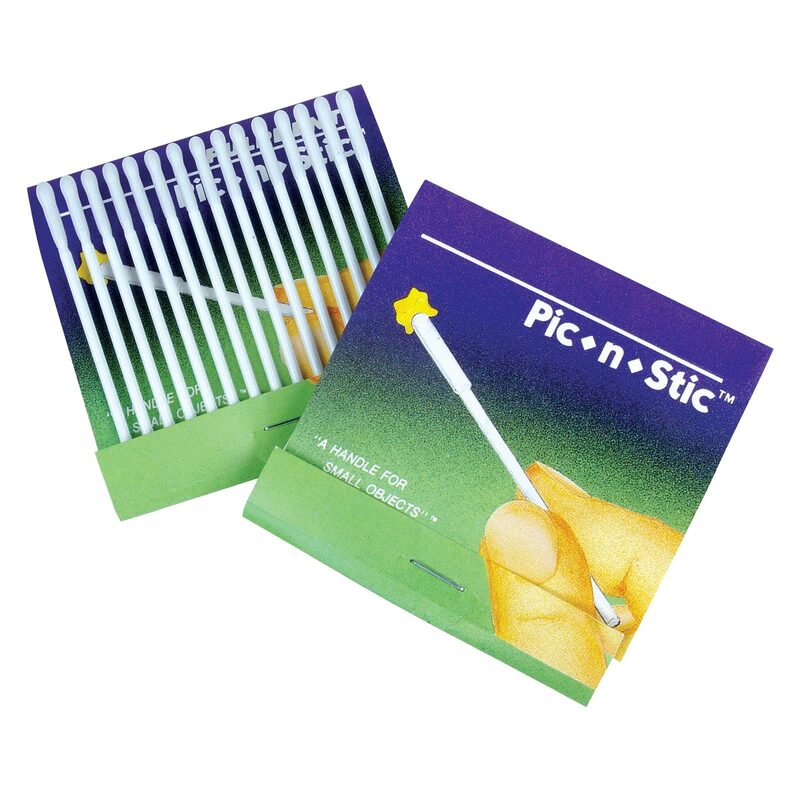 Originally made for the dental trade, Pick-n-Stick is a 2-1/2 inch long plastic stick with a waxy adhesive on one end. To use, just press the adhesive end against the part you need to hold. To remove, just twist. Adhesive grips tightly, but won't transfer to the part. Holds plastic model parts, cast metal ship fittings, miniature hardware and hundreds of other items. 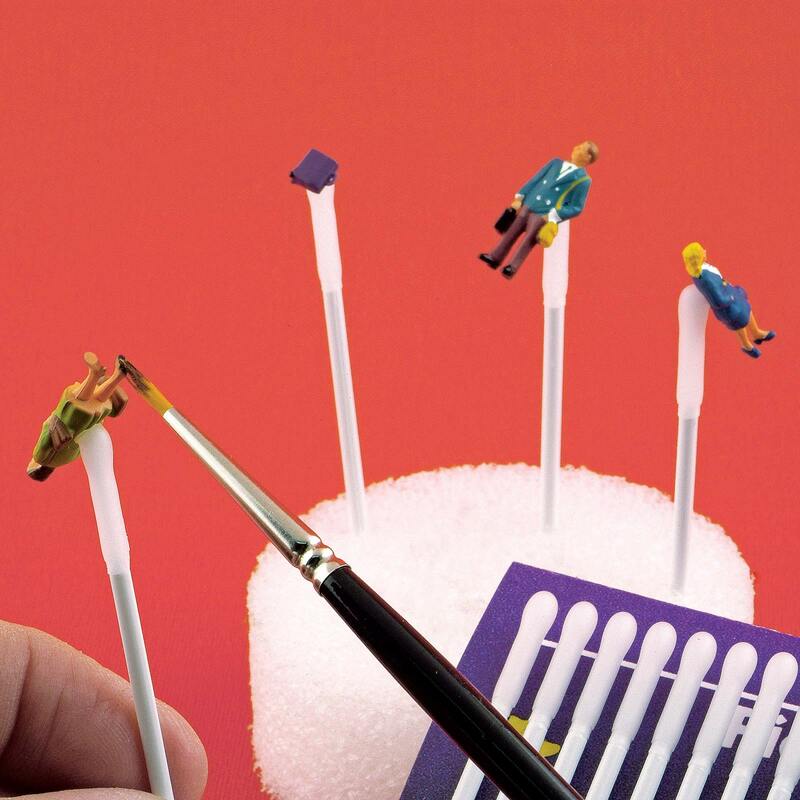 When painting numerous parts, push the non-adhesive end into a piece of cardboard or clay to hold the sticks while the paint dries. Each stick is reusable many times. Price is for 30 Pick-n-Sticks in 2 matchbook style packages.